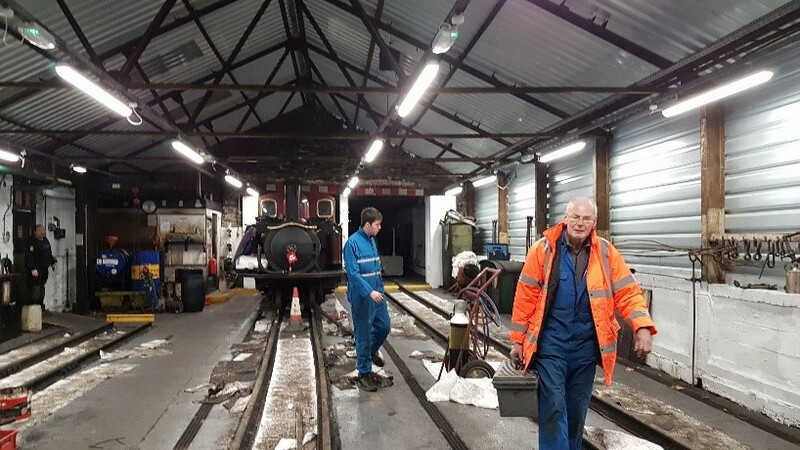 There were two main jobs, completing the electrical workshop and installing lights in the recently re-roofed GYM engine shed. The latter not an easy job, but certainly out of the worst of the weather. New Distribution board – transferred remaining circuits from old dis. board to new board. Tested office circuits, lighting & power. Workshop 3 Phase Socket – connected up & tested 3 phase socket. Lobby Lights on old DB – rationalised & transferred to new distribution board. New lighting in Loft on old DB – transferred circuit to new distribution board. Lights on North wall of building, 2 by locker room entrance, 1 by passage to No1 Boston Lodge, 1 by end wall facing Machine Shop Wall, plus 1 over door by Elect Shop entrance were removed, cleaned, checked & replaced. Moved photo cell to outside North wall of porch. Made up & fitted isolation & override switch for outside lighting circuit. Renewed cabling around outside the building, partially on cable tray, to light fitting locations around building using black Hi Tuf cable, clips & nylon compression glands. New Lighting in Locker room – fitted emergency light fitting over door & extended conduit for light switch & emergency lighting test switch. Completed conduit wiring & installed B6 RCBO to distribution board. Main Works Erecting Shop DB42 – changed 2 D63. MCBs To C63s. Lighting – renewed all 20 light fittings plus 6 emergency light fittings. Main fittings suspended on hooks from existing trunking & connected using plug-in ceiling roses mounted on back entry conduit boxes attached to the trunking with attachment assemblies. Emergency fittings connected via plug in ceiling roses but attached to the lighting trunking directly. Switching completely revised to ensure no risk of water ingress. Removed cable to DB13 in GyM Loco Shed rear section & blanked off holes in DB. Loco Shed, removed 240V 13A Metalclad Socket on Erecting Shop side wall. 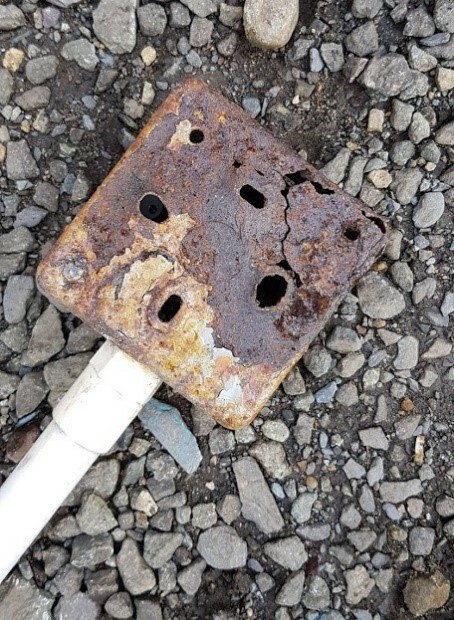 230/24V Transformer – isolated and removed equipment. Circular Saw – renewed isolator with 4 Pole isolator in metal enclosure. Fitted new shroud to gland on feed cable to machine. Top Yard Lighting – renewed cable joint to light on rock face. 119th Working Party meets Saturday 23rd and Sunday 24th February.